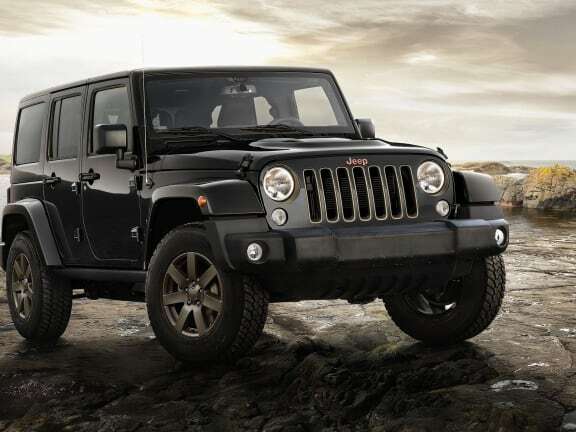 For decades the Jeep Wrangler has cut an iconic figure in the SUV segment. It boasts excellent off-road credentials as well as supreme composure on the road. Available with two doors or four, and in various levels of trim and engine size, it offers a large range of choice for customers. At Swansway Jeep, we have nearly 50 years of experience in retail. Our family-run business has always sought to treat its staff and customers as part of that extended family, in a bid to deliver excellent value and high standards of service. All of our technicians are Jeep trained to ensure that they maintain your vehicle to the highest standard, and our price match guarantee ensures that we deliver that service at the best possible price. For more details about us or the Jeep Wrangler, please don't hesitate to contact us via our website, over the phone on or drop in and see us. We can't wait to welcome you. The Jeep Wrangler uses an iconic design, both in terms of visuals and mechanics. How does it feel on the road? Jack Evans finds out. The Jeep Wrangler is somewhat a law unto itself. Now the Land Rover Defender isn’t around, it remains the last bastion of no-frills off-roading. With iconic looks, rudimentary mechanicals and just two engines to choose from, the Wrangler certainly isn’t what you’d call plush – but it has a charm to it unlike other cars on sale today. In terms of what’s new, the 75th Anniversary car that we have here receives a wider range of exterior colours, as well as bronze-finish interior accents. There’s also brown leather seats and a 6.52-colour touchscreen housing media functions. This Wrangler is powered by a V6 petrol engine with 280bhp and a hefty 347Nm, ideal for helping it drag itself out of sticky situations. Think of this car as heavy and relatively thirsty and you'd be right - Jeep claims 24.1mpg on the combined cycle, while emissions are a scarily high 273g/km CO2. 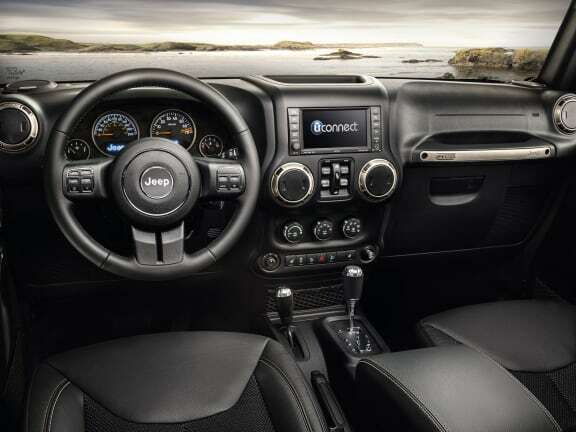 Driving the Wrangler is a mixture of the very good and very bad. The engine, for instance, has plenty of grunt and never feels underpowered yet the five-speed automatic gearbox struggles at times, hanging on to cogs when it isn’t needed. The ride is very soft – and is so to make the car good off-road – but because of this there’s huge amounts of body roll. Cornering, therefore, isn’t something that is particularly enjoyable in the Wrangler and you tend to take them much slower than you would in an ordinary car. Parking the Wrangler is quite the event, too. There aren’t any parking aids – sensors nor a camera – which is something you’d expect to see on a car of this size and price. However, the car’s square size does mean that it’s easier to position than you’d think, while its large tyres ensure that it’s tricky to kerb the car’s alloys. There’s no denying that the Wrangler has a huge amount of presence on the road. It’s a big car, and the large tyres and chunky bumpers help accentuate its overall size. In ‘Serge Green’, it’s hard to miss the Wrangler’s military roots – and it’s unlikely that passers-by will miss them, either. It’s definitely not a car for those who want to draw little attention to themselves – but extroverts will no doubt love the way it looks. Inside, the Wrangler’s rough-and-ready approach is extended. The plastics used are very scratchy, but everything feels solidly built – if a little outdated. The infotainment screen, for instance, is behind those found in modern superminis and it’s relatively fiddly to operate, too. Given its size, you’d expect there to be plenty of space inside the Wrangler. However, this really isn’t the case, as the cabin feels surprisingly cramped and the rear seats don’t offer the acres of room that you’d reckon they would. The car’s 498-litre boot is easy to access thanks to a rear door which opens widely, and its square shape does make it ideal for larger items like suitcases. It’s worth noting that if you opt for the two-door model, this boot size shrinks to just 142 litres. Our Jeep Wrangler came in at £36,520. For that, you get cruise control, electronic stability control and a multifunction steering wheel. A tyre pressure monitoring display is also fitted as standard, as well as that previously mentioned infotainment system. In fairness, it does provide Bluetooth connectivity, allowing you to play music from your smartphone through the car’s stereo, which provides a decent enough sound. Yes, at nearly £40,000 the Wrangler is quite a lot of money. There are cars on sale today that would be a lot more comfortable and efficient, but the truth is that those who can get over the Jeep’s foibles will love it for the sheer amount of character it offers. 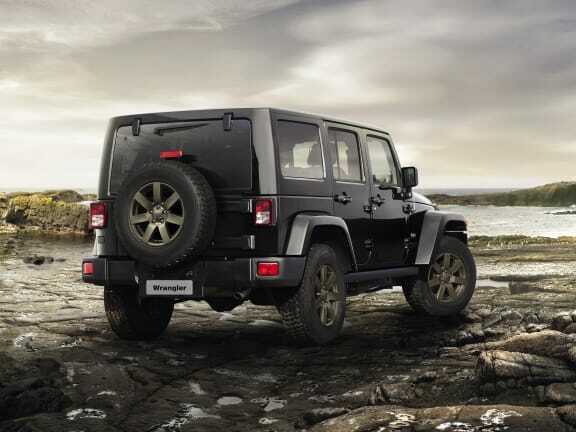 The Wrangler is ideal for those who want a huge amount of off-road capability wrapped up in an iconic package. It isn’t particularly refined or economical, but its level of charm is hard to ignore. Take away the car’s fuel economy, and it wouldn’t be too much of a stretch to live with the Wrangler day-to-day – as long as you don’t have to park it in small spaces too often, that is. Your lifestyle. Your car. Your Jeep.